Iron Man 10 Years Later: Ole Shellhead's Top 10 Action Figures! Home » Games » Iron Man 10 Years Later: Ole Shellhead’s Top 10 Action Figures! Iron Man was released 10 years ago?!? That is unbelievable to me. 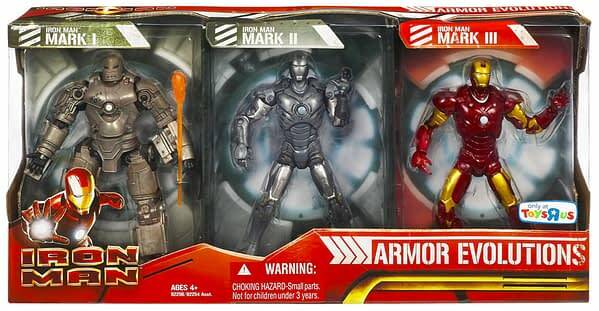 While the movies may have taken forever to get in on the armor action, that has never been the case for toys! Tony’s various armors (and the man himself) have seen quite a few pieces of plastic produced in their honor over the years, and to celebrate his anniversary, we are going to take a look at ten favorites of ours! 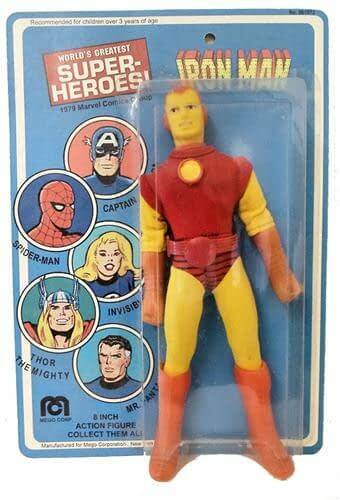 The Mego Iron Man is one of the weirdest and best Iron Man toys. Check out that face! Mego figures hold a special place in fans hearts, and carded/boxed examples are highly sought-after, and loose examples are usually missing a boot or the belt and such. But that face man…that face is haunting. The Secret Wars figure from 1984 is right up my alley however.Yeah sure these were not very articulated, and these broke pretty often, and his blaster gun thing was not the greatest, but I remember playing with this figure more than any other in this line. I loved that it almost seemed like he was smirking. 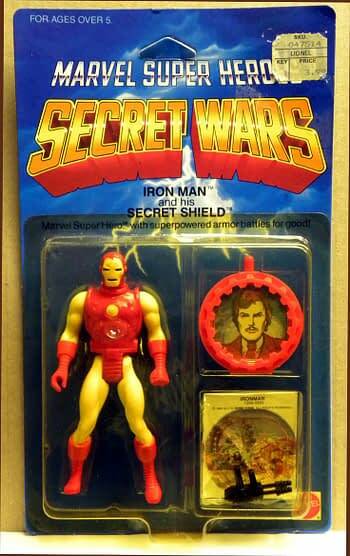 I have yet to start grabbing carded Secret Wars figures for my collection, but you can bet this will be the first. 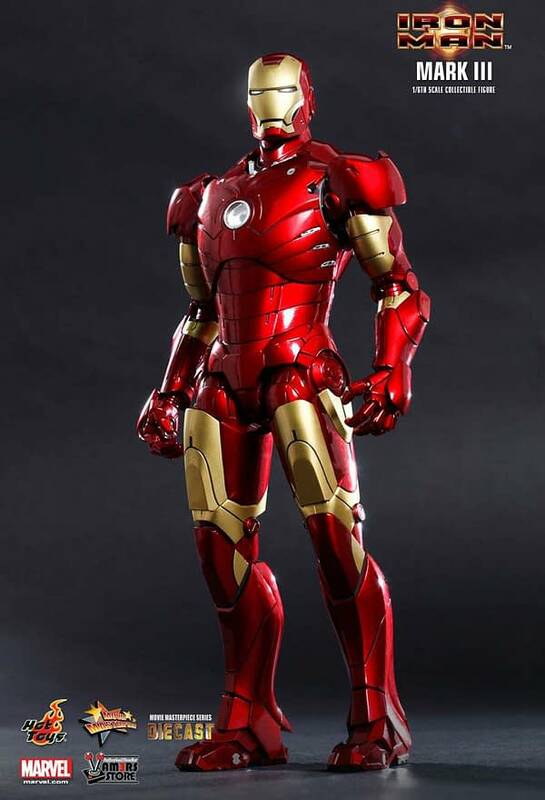 Followed closely by the Marvel Superheroes Quick Change Armor Iron Man! I lost ALL of the armor pieces on this guy multiple times in my day, and the helmet was way too big. However, this was the pinnacle of figures in the early 90’s. Love that stache Tony! I never liked too many of the Toy Biz era Marvel Legends Iron Man figures, but the oversize Icons figures are still favorites of mine. The Gold and Red Iron Man with its multiple points of articulation and the cool removable faceplate became a display piece in my collection for years. I never kept mine carded, but the packaging is some of the best we have ever gotten as well. 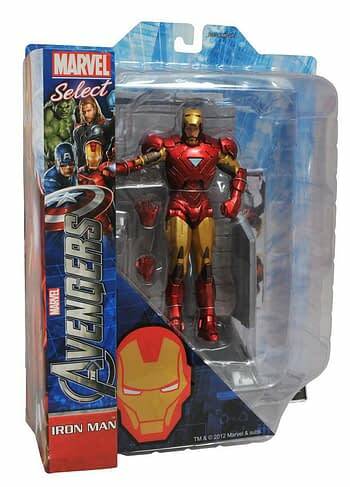 Skipping ahead some, one of my favorite modern Tony figures is the Diamond Select Toys Avengers Iron Man figure. The armor and paint aps are perfect, I love the diorama piece that comes with him as well. I haven’t really liked too many of their Iron Man’s over the years, but they knocked this one out of the park. It would be impossible to not put a Hot Toys release in here, so I chose the die-cast Mark III from the first film. Nothing compares to the sleekness and craftsmanship of Hot Toys, and this is just a perfect example of what they are capable of. I know- not all of you like Funko Pops. But cmon. 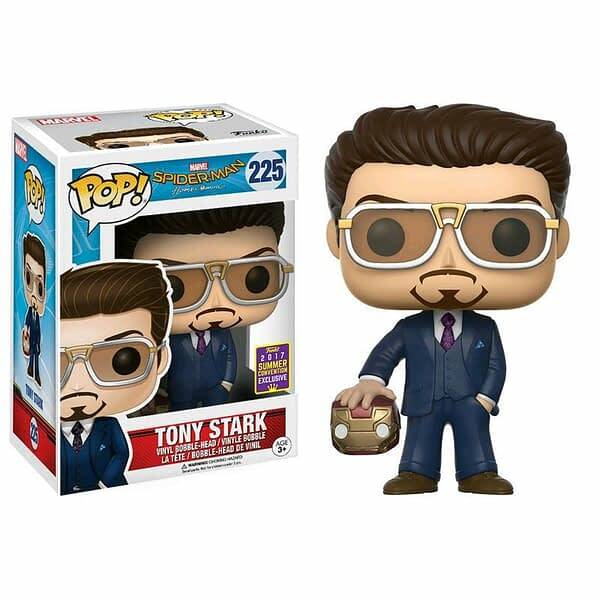 Look at how cute and perfect Robert Downey Jr. looks as a Pop. The great suit, the pencil goatee, the glasses. The added Iron Man helmet is perfect. All-round this is one of the best Funko Pops they have ever done. 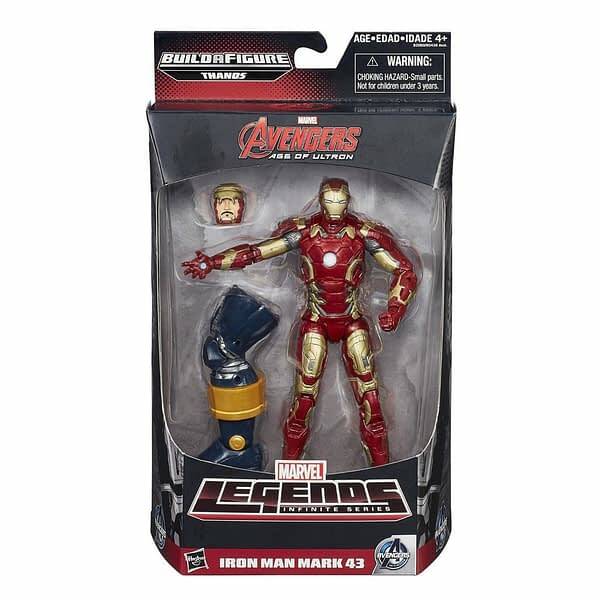 Marvel Legends-wise, I went with the Age of Ultron Mark 43 from the Thanos build a figure wave. 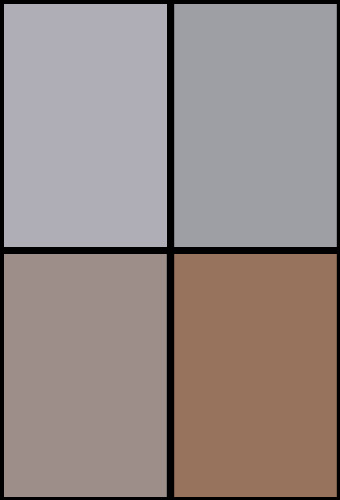 I love the faceplate up head sculpt, I have it on my figure display with that head as we speak. This one also for my money is the best version they have released so far. He is easy to pose, has greta armor, and has more weight to him than other releases. This one is a favorite. This is the ultimate LEGO set for armor collectors. 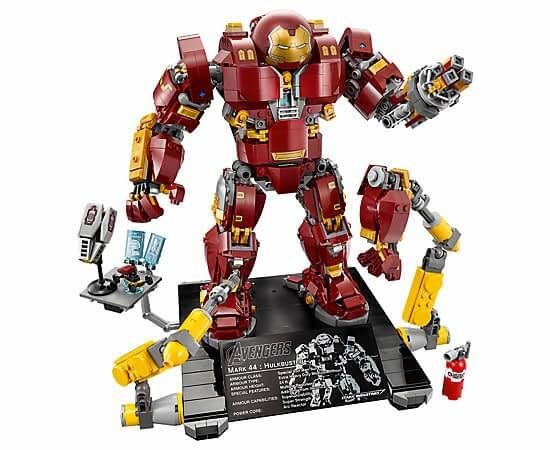 The Ultimate version of the Hulkbuster suit is hefty, takes awhile to build, includes the robot construction arms, and the design plate. The figure stands at 9 inches tall and even features light-up pieces! Iron Man LEGO sets get no better than this. Finally- a set that I have never been able to get my hands on! I have wanted this set forever, but a local toy scalper bought them all up in my area in when they came out. Paying tribute to the three armors from the first film we celebrate today, this 6 inch figure set is a perfect homage to that film and the start of the MCU. Anyone got one they don’t want? 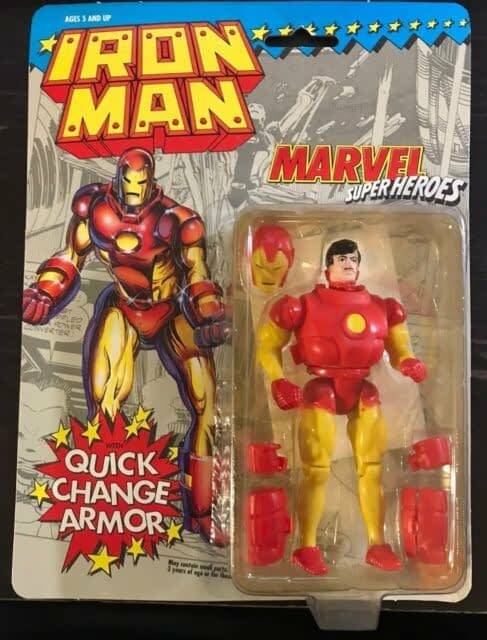 What are some of YOUR favorite Iron Man toys and figures? Agree with these. 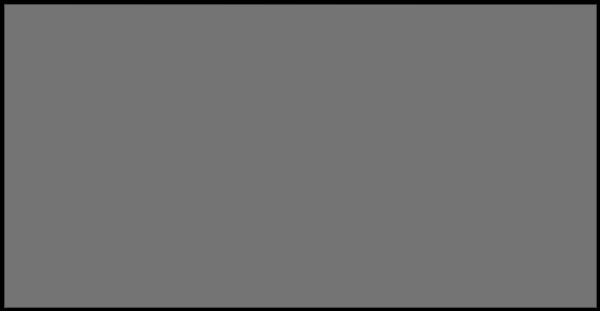 Again- do you have a spare of the above box set you do not want? 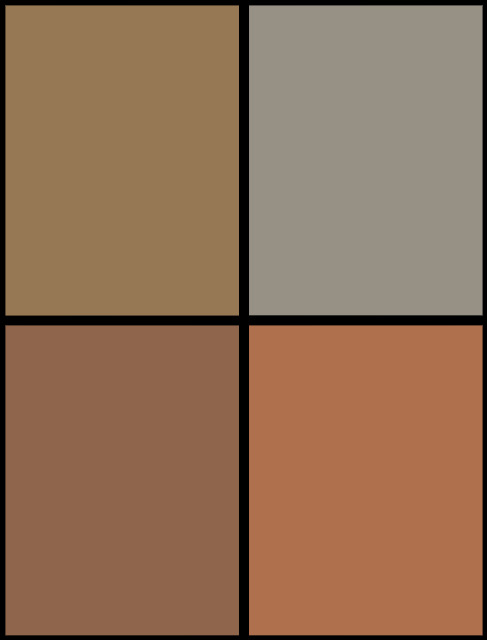 Let us know in the comments and let me know some of your favorites on my Twitter if you are so inclined.